Freelancers, do you have a digital presence? Does it represent your personality & brand? Does it perform well? Is it up-to-date & easy to manage? If no, take some action today! After 10+ years in the creative industry, testing 25+ CMS-systems and getting my hands on digital marketing, I help others to get things done. Technology can be the biggest friction in building a website. We have a look at it. Without a plan everything is coincidence. We work from the user experience onwards. The biggest beef of the course is building your site. I will assist and group dynamics are desired. We will have a brief introduction into Google Analytics & we will integrate Social Media. We want to get stuff done. Everything is action-driven. Inspired by Hackathons which last for 24 or 48 hours, time limits generate focus and momentum. Hiring a webdesigner costs around 1.000 € and you don't know what you get! Instead, we use curated and tested Content Management Systems with a preview. David has been a market expert since 2006 and worked for clients such as Amazon, Telekom, Deutsche Post / DHL and WE Fashion. With a strong influence of "Dutch Design" David is looking for simple, playful and very communicative solutions. During the time at Interbrand and MetaDesign, Deutsche Telekom was transformed into a flexible brand - a true success story, of which David was a partial war. Since 2016, David has concentrated 100% on the digital field. He can bring digital state-of-the-art techniques and tools back into the branding and apply them there. These are concise classes with proper and simple explanations. It's really great for young entrepreneurs like me. Liked this series a lot. I thought it did a great job of covering all the bases, at just the right level of detail to help me learn something useful, keep me engaged, and apply what I've learned, in practice. The coach, David Mühlfeld, gives the viewer not only a few tools but also a complete toolbox of ideas in his hand. I would be very happy about further trainings from him. 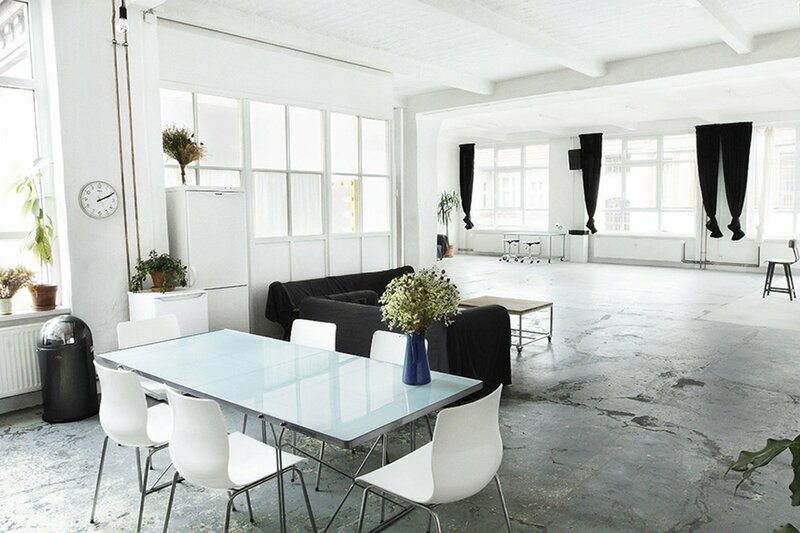 I have a bright studio in Berlin-Neukölln for the workshop in mind. It will be fixed soon. 8 hour program incl. lunch & drinks. Location will be in the startup environment in Berlin. Maximum 10 people. Only a few places are still available! Prices include 19% tax. Cancellation is possible up to 30 days before the course starts. Payment is only possible through Paypal. Language is German or English – depending on the participants.